The Divine Being beats in your heart, speaks with your voice, and dances in your body. There is only One True Being – a being of infinite energy – that manifests as all of us and all that we experience. Every moment is a celebration! In life and death, joy and sadness, rain or shine! Take the time to satiate in the eyes of your other. A momentary uniqueness dancing for UR enjoyment! In the light, of the light, the light! When Life Arrives into Tenderness, Kindness & Compassion, all stories dies, and Only this Sacred Space Remains!! Martin and Natasha are interested in the theraputic use of 5 MEO DMT and other tryptamines as tools to establish coherence and integration into natural being.The trouble is that the ego is confused. The ego thinks that your personality and expression is itself, when in truth, your personality is Source Origin expressing itself through the filter of your unique being. 5 Meo Dmt is about radical nondual simplicity, a gift from nature’s own toolbox; a clear and direct pointing for you to receive your own birthright. This is a medicine guide to reclaim natural psychosomatic coherence, and to receive that which you are, but have forgotten. When the energy that we are is not allowed to flow as the Divine Being we are, we encounter blocks in our lives, in our bodies, in our thoughts, in our emotions. We forget how to attune and align ourselves with the Source Origin that is Truly Us and we become inauthentic patterns of illusions and confusion. You are already a masterpiece, you can not be improved! Martin W. Ball, Ph.D.,is an entheogenic researcher and author whose work focuses in the nondual nature of being, and the use of entheogens as natures energetic tools. In the spring of 2009 Martin underwent a profound energetic opening and transformation – the result of intensive work with entheogenic medicines and a year of profound self-exploration. The result is Martin’s articulation of what he calls the “Entheological Paradigm,” a Grand Unified Theory of all of reality from God to the direct experience of each human being, which he characterizes as an articulation of his view on “radical nonduality.” His approach is unique in that he sees the tension between duality and nonduality not as a spiritual or religious issue, but as an energetic issue that can best be addressed through the intentional use of powerful entheogens, such as 5-MeO-DMT. As such, his approach is thoroughly practical, straight-forward, and free of metaphysics, speculation, and attachment to spiritual or religious ideologies and mythologies. The result is a view of the nature of reality and the self that is challenging, liberating, and powerfully transformative, pointing to the true nature of being and personal responsibility as an energetic being. Natasha English is a Nondual / Transpersonal Therapist, a writer, painter, event producer and parent to 3 children. Shedeveloped a simple and direct process ‘The Point Process’ to release unseen habituated patterns, depression, anxiety, and addiction that become visible in systemic pain and suffering! Like all psychotherapies, nondual therapies provide the space to deconstruct conflict, suffering and confusion. All our pain and suffering results from a difference between “what we experience” and “what we want.” ‘The Point Process’ (TPP) is a clear and direct access to uncoil your misconceptions and to recognize the obvious, the wholeness you are, that has been forgotten! ‘TPP’ was simplified over years of spiritual practice and countless sessions with clients. It became a direct and unadorned seeing of the physical, emotional, and mental machinery and content, that drives the habituated urge and impulse to seek, fix and do, to improve upon an idea of self, that is ‘thought and felt’ as broken. ‘Awareness’ assumes and identifies with the body and its content (when dropping into the physical body / mind vehicle). Its’ immediate attention is directed outward for survival, belonging and acceptance. In the process ‘awareness’ assumes a partial and disconnected view of reality and forgets itself! The many impressions from childhood form our sense of ‘fixed identity’ and is a core survival strategy, where awareness ‘disassociate’ itself from wholeness as it contracts to protect itself from childhood impressions / teen trauma, shame or abuse. As adults, these contractions that form ‘this fixed identity of self’ (ego-id) no longer serves us, nonetheless we often don’t recognize that this fixed sense of self is a mask. All searching, seeking, and fixing are rooted in the intimate rejection of what is intimately available to all of us. Wholeness is your nature, and when awareness is able to attune to and recognize its’ essence; NATURAL REST ‘as you are,’ puts an end to disconnection, confusion, and disorientation. When the difference is dissolved through resting effortless in the ground of being we experience peace and freedom. This integrated approach corrects any personal beliefs that might lead people to disconnect from their physical, embodied existence. When we are able to release and rest in awareness, we discover the present moment always takes care of itself, and that reality is our opportunity to attune into what and who we are, but have forgotten. You are already a masterpiece, you can not be improved! 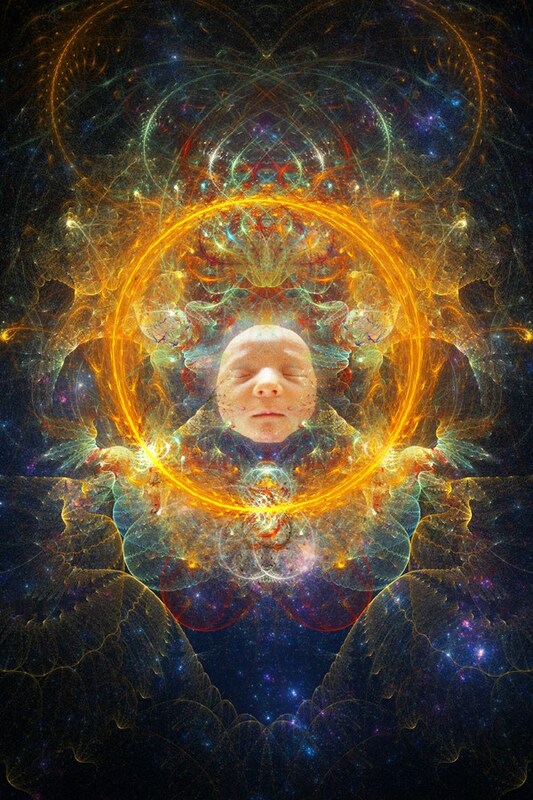 Gallery | This entry was posted in 5 MEO DMT, Anima Mundi, Entheogenic Evolution and tagged 5 MEO DMT, authentic, entheogenic evolution, fearless, truth realization., Tryptamines, unique. Bookmark the permalink.